Hikianalia and Hokulea Arrived In Tahiti and Coming Home Soon! 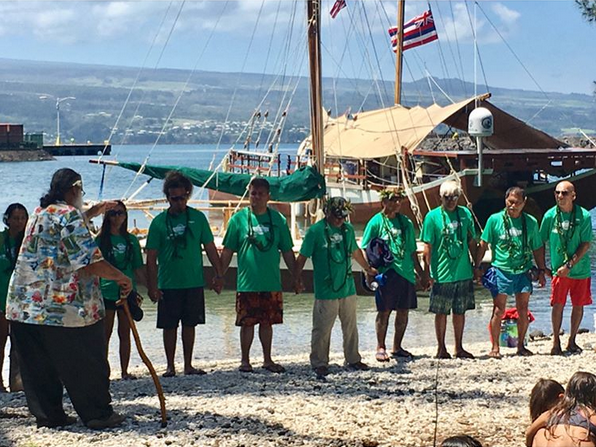 The Hikianalia departed Hilo March 26th (shown in photo) with one of PUEO’s founders and Keaukaha Community leader Uncle Pat Kahawaiola’a blessing their departure. Their goal was to meet up with Hōkūleʻa and bring them some materials for repairs before they had back to Hawaii. The should be back in Hawaii in June!